Vaping skeptics question the efficacy of e-cigarettes for smoking cessation, often citing the lack of clinical trials proving a benefit to smokers. Randomized trials are usually used to test drugs intended to treat specific conditions. They typically compare two or more therapies with each other, or test drugs against a control group that receives a placebo. The problem with translating drug research to a consumer product like e-cigarettes is that the strict protocols of a drug trial (all participants use a certain drug at a certain dose and interval) may not translate to products that succeed by offering a wide range of possibilities to users. After all, vaping isn’t a cure for a disease, but rather a less risky consumption choice that competes with cigarettes. There have been large smoking cessation trials using e-cigarettes before. However, the most recent were from 2014, and the data in those studies were collected even earlier, from trials of first generation cigalike products. 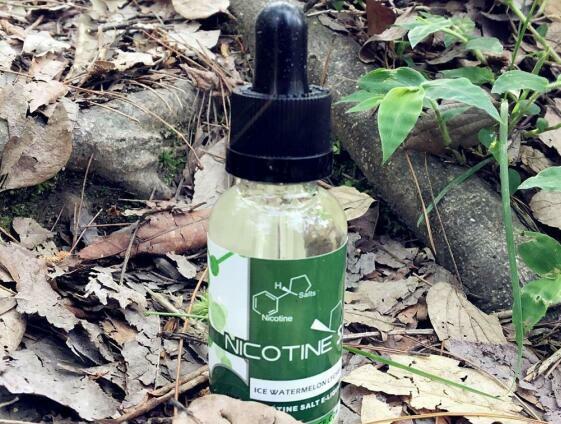 Nevertheless, even though those studies used primitive vaping devices, the results showed cessation success on par with nicotine replacement therapy (NRT) products. Now a study led by Prof. Peter Hajek of Queen Mary University of London describes a randomized trial comparing smokers attempting to quit using a vaping product with others using NRT. And even though the study participants who attempted to quit by vaping were given the choice of just one product, the results were impressive. “The figure may sound low,” notes Prof. Hajek, “but…if they were quitting on their own, the quit rate would be about 3 percent.” That makes using vapes to quit (with proper advice and support) about six times more effective than quitting with no help. Other researchers involved in the study came from Queen Mary and other British universities, and from an American institution. The study was published in the New England Journal of Medicine. The journal was apparently so embarrassed about the positive results that it commissioned not one but two accompanying editorials slamming e-cigarettes, one offering questionable advice to doctors (insist smokers try and fail with NRT first; use low nicotine vaping products), and the other advocating for a vaping flavor ban. The trial divided 886 smokers into two groups. The participants in one group got their choice of NRT products like nicotine patches, gum, lozenges, mouth strips, inhalers and nasal spray. Additional NRT products were provided free for three months, and the participants were allowed to use multiple products. The other group was given a simple all-in-one vape kit (the Aspire One Kit or the Innokin One Kit 2016) and one or two 10 mL bottles of 18 mg/mL tobacco-flavored e-liquid. The vaping group was instructed how to use and refill the device, and encouraged to buy additional e-liquid from a vape shop where they could choose other flavors (or even other devices). Both groups had in-person counseling sessions weekly for the first month. The counseling might have helped the new vapers feel more at ease about their choice, although it probably couldn’t replace visiting a good vape shop or even asking questions and interacting with other vapers on a forum like ECF, where experienced vapers offer tips and encouragement freely. Perhaps some of them did get further help at shops when replacing the e-liquid received from the researchers (which only amounted to a 2- to 8-day supply, unlike the 90 days of NRT products the other group received). The vaping group had less intense cigarette cravings. They also experienced less nausea, and smaller increases in irritability and lack of concentration than the NRT group. And among participants who had issues with coughing and phlegm before the trial began, significantly fewer in the vaping group had those symptoms after a year. Vaping opponents will probably make much of the fact that many study participants in the vaping group were still vaping after a year (80 percent of the quitters, versus just 9 percent of NRT users who quit). The goal, they say, is to eliminate all nicotine use. But that’s wrong. The goal when someone quits smoking is to stop smoking. Nicotine is a separate issue — if it’s an issue at all. Vaping (or NRT use) after quitting may prevent an ex-smoker from reaching for a cigarette later. There is no evidence that nicotine use causes health problems, but considerable evidence that many ex-smokers relapse long after they quit cigarettes. Among trial participants who didn’t quit smoking, 40 percent of the vaping group continued to vape and smoke (“dual use”), while just 4 percent of the NRT group kept using NRT. Unlike vapes, NRT products are real medicine: they’re not attractive, fun or tasty, and they do nothing to replace the huge void a smoker feels without a cigarette in the hand. Those dual users may gradually reduce the cigarettes they smoke, as so many vapers do. The authors of the study are continuing to follow the trial participants, and it will be interesting to see how many in the vaping and NRT groups relapse to smoking, and how many who were still smoking at the one-year mark quit later. There is no reason to believe that many won’t. Some full-time vapers spent longer than a year transitioning to e-cigarettes. The headline here is good: more vapers were able to quit completely than NRT users. But ignored in all the news stories about the trial is the fact that vaping products offer thousands of product choices that can’t be adequately reduced to a single vaping experience. Those trial participants who weren’t able to quit smoking in a year may still try a new device or flavor that strikes a chord, and helps them join the ranks of ex-smokers.